Purchasing a vehicle is a big step for anyone. Unfortunately, not everyone is able to make this purchase using cash only. 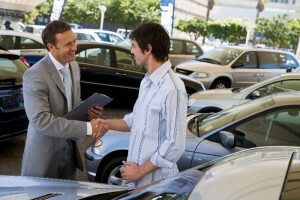 Often individuals need to rely in having access to credit to be able to afford the vehicle they want. Not many lending institutions are open to the idea of providing individuals with poor credit records with finance. An entity that has stepped up to provide this service is Gallardo Finance Corporation. With Gallardo Finance, even blacklisted individuals (with a maximum of 4 listings) are able to obtain finance for vehicle purchases. Up to R250 000 in vehicle finance is available. Gallardo has assisted over 4500 clients and has a 90% success rate for government employees. Approval takes no more than 72 hours. Gallardo endorses responsible lending practices and always ensures that clients do not loan more than they can afford and thoroughly understand the terms of the credit agreement. You need to be permanently employed, earning a salary of R7500 minimum per month. Your disposable income after expenses must be R2500 minimum. You must provide Gallardo with a copy of your I.D, drivers licence, payslip, 3 months’ bank statements and proof of address. Fill in an online application form and Gallardo consultants will send you application forms to sign. You’ll then need to fax application forms and supporting documentation to 086 244 2407 for Johannesburg and 086 601 2820 for KZN and Cape Town. Contact Gallardo Finance Corporation to get access to convenient vehicle finance today. Call: 011 513 3510 or 031 368 1044.